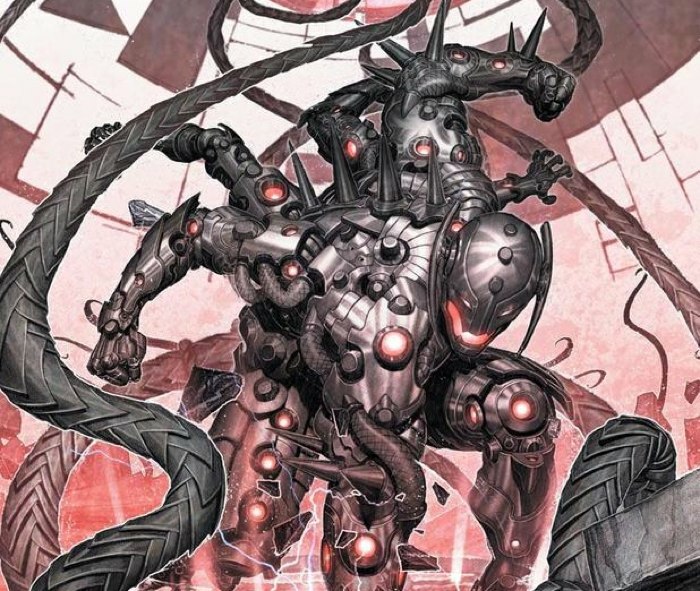 The Age of Ultron is Upon Us! 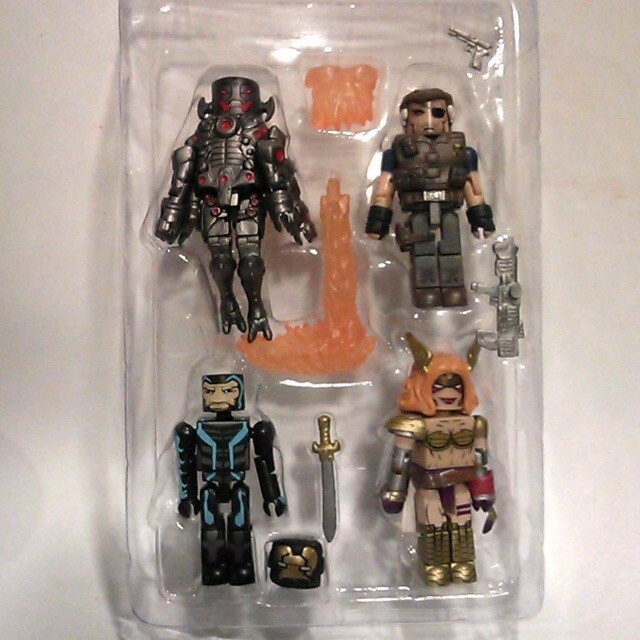 New Minimates Packaging Revealed! 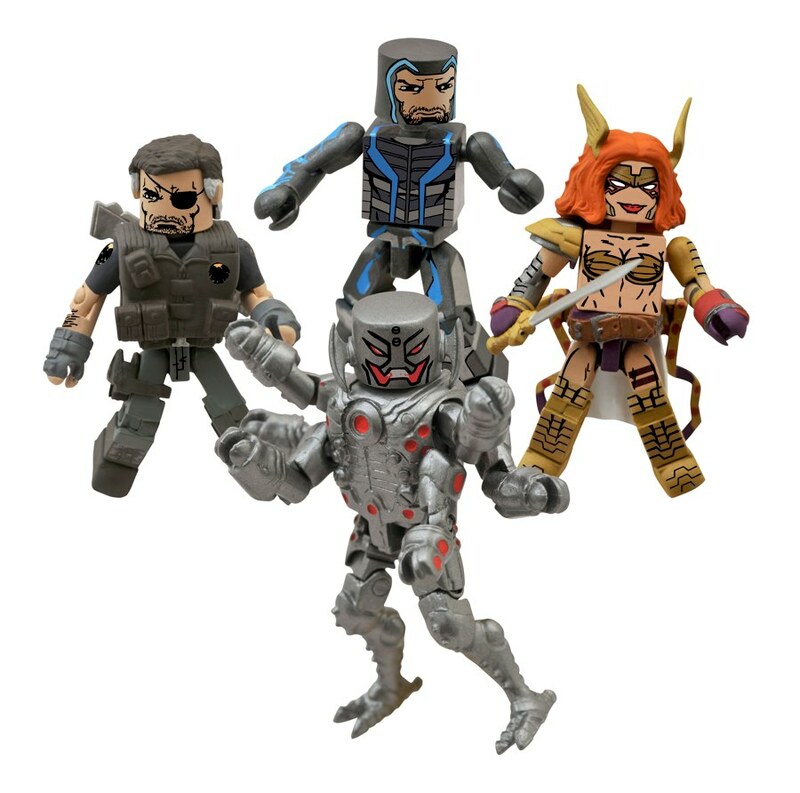 This Wednesday, the newest set of Marvel Minimates hits comic shops and specialty stores, and it’s come all the way from the Age of Ultron! 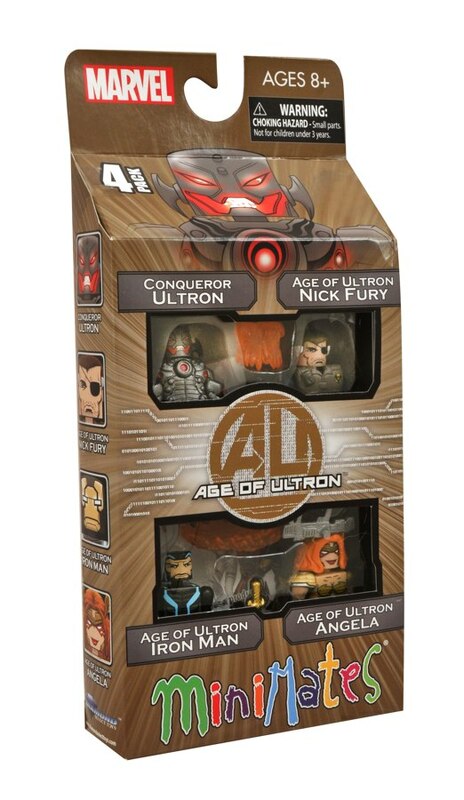 Depicting the tyrannical robot ruler as he appeared on the covers of the Age of Ultron maxi-series, this set of 2-inch Mini-figures also comes packaged with A.O.U. versions of Iron Man and Nick Fury, as well as the first-ever Minimate of Neil Gaiman’s supernatural comic character Angela! Each 2-inch Minimate mini-figure has at least 14 points of articulation and comes with a variety of interchangeable parts and accessories. 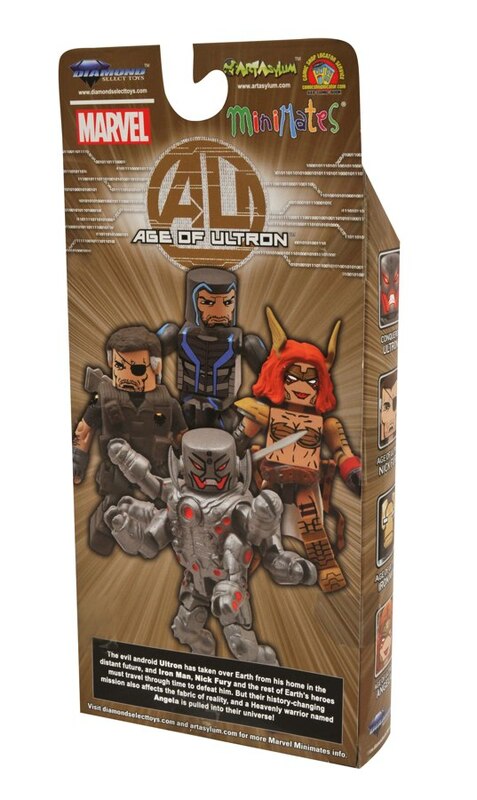 Angela comes with a sword and scabbard; Iron Man has a removable helmet; Nick Fury has a rifle, pistol, removable vest and jet pack and Ultron sports six fully poseable arms! Find your nearest comic shop at comicshoplocator.com, or place an order through diamondselecttoys.com! 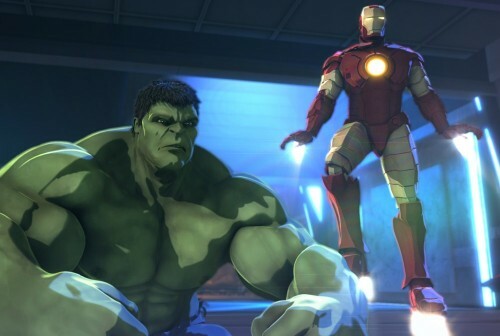 Next Up: Iron Man & Hulk: Heroes United Offers Exclusive Minimates!